To those who say centaurs can't dance, because they have two left feet ... I say don't make a lot of hay about it ... make pixels with RenderMan instead! Use this complex model for some advanced shading and lighting. This Maya scene file is provided for further exploration, and comes with a simple light setup. 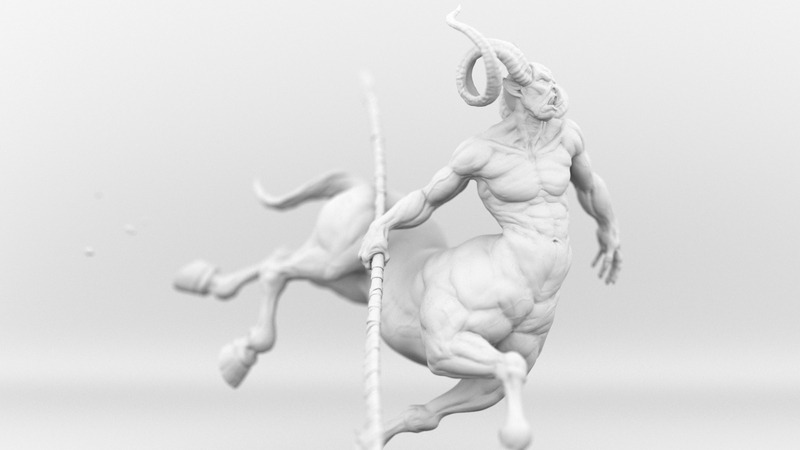 The Zbrush project is also included so you can experiment with exporting fancy displacement maps. Have fun with it, and post your results! Michael Milano is a 3D Artist who has been developing character pipelines for a variety of studios since graduating from SCAD in 2008. He specializes in creating characters for games, animations, and 3D printing. 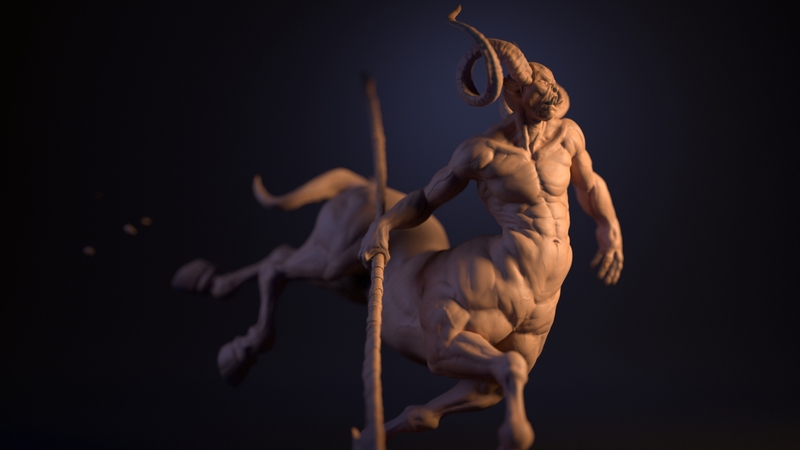 This Centaur model is property of Michael Milano. All Rights Reserved © Michael Milano. For personal use only. Commercial use is prohibited. Not for redistribution without permission.